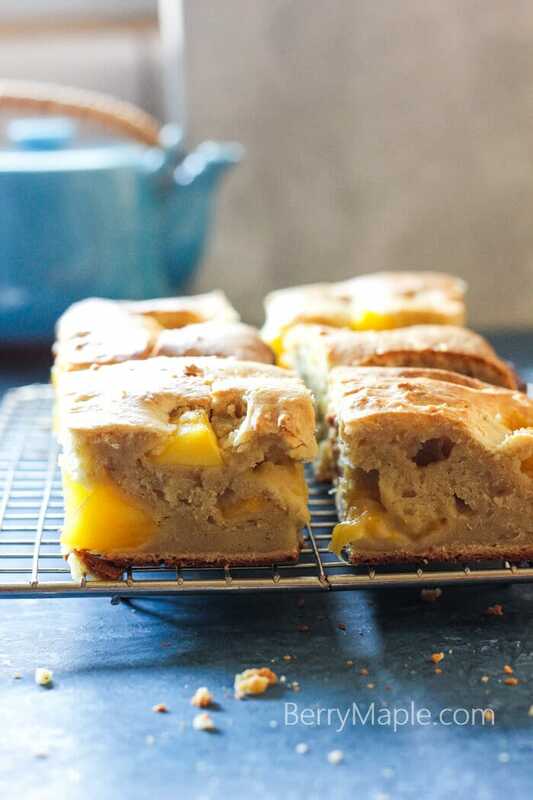 Very moist mango cream cheese banana bread that will surprise you with candy like flavor(thanks to sweet mangoes) and incredible texture. There is so many banana bread recipes on the web, and a lot of them are really great! I wanted to make something unique and delicious, moist and mostly naturally sweetened. 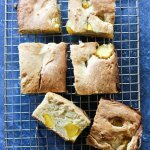 This mango cream cheese bread has yummy crunches on its sides and the center, so moist and full of flavor! Great way to cut calories in deserts is to use bananas (or dates) instead of sugar. In this recipe i used only 2 tablespoons of brown sugar, 1 mashed banana and lots of frozen mangoes, that gave this beautiful unique candy flavor! 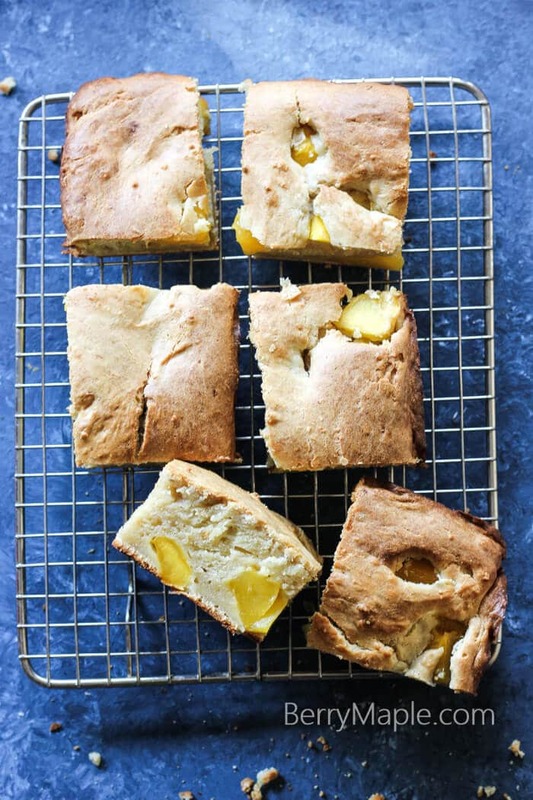 My kids love love love this mango cream cheese moist bread and i don’t feel guilty giving it to them, they love every bit of this mango bread without that extra sugar. In a large bowl , using hand mixer, combine eggs, sugar, bananas, butter and cream cheese until well mixed. Combine flour, soda and baking powder in a different bowl and then add to the large bowl. Mix well. Add mangoes to the dough and stir. Oil spray the 8 inch square baking dish. Pour the dough and bake in the oven for 1 hour. Such a dreamy bread and with so little sugar it will be one I make again and again! Love those chunks of mango!! Mango desserts are my favorite! This looks delicious!